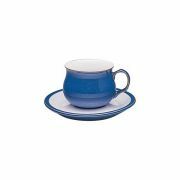 Denby Imperial Blue. A strong name and a striking blue colour to match. 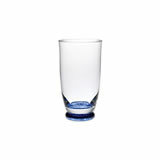 Bold but yet uncompromising, the perfect fit to most any kitchen environment. 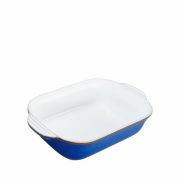 With Denby’s signature glaze and crisp white insert. 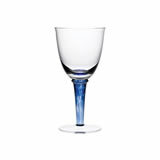 Beautiful as a complete range or perfect to blend with Malmo or Heritage Fountain. 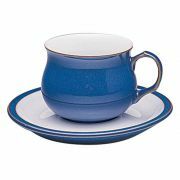 Imperial Blue has stood strong through the years and has proved to be one of Denby’s most popular ranges. Finished with a high gloss and a white insert. 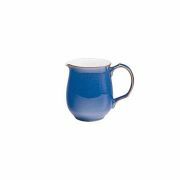 Imperial Blue stoneware is all hand finished, so no piece is ever exactly the same. In fact, only after being passed through 25 pairs of hands is each piece then awarded the Denby seal of approval. 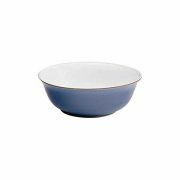 Denby stoneware clay is very strong. 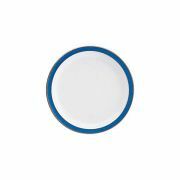 It is fully vitrified (the surface is made glassy and non-porous) which gives it strength, durability and is chip resistance.